It's time to take a bit of a departure from your usual musical nights...Well, not completely. 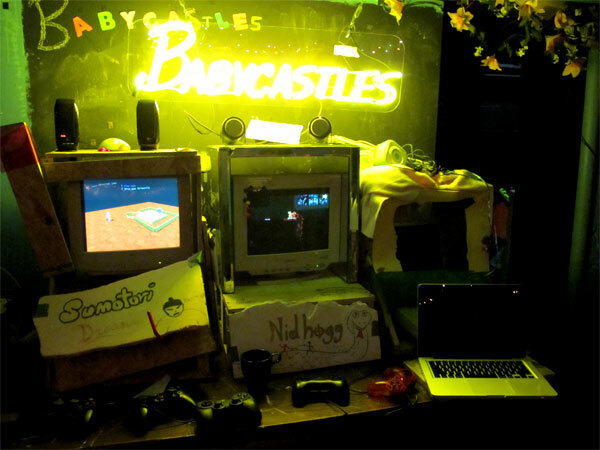 Babycastles Arcade has always had sort of a team-up with the music scene. The indie video games used to have a home in the basement of Silent Barn, but they've moved on up to Manhattan with a new home at the Showpaper Gallery. Expect a "spooky" theme (we suspect it has something to do with Halloween). And for those that absolutely NEED music each night, the Facebook event page announced a live set from 12,000 Trees.